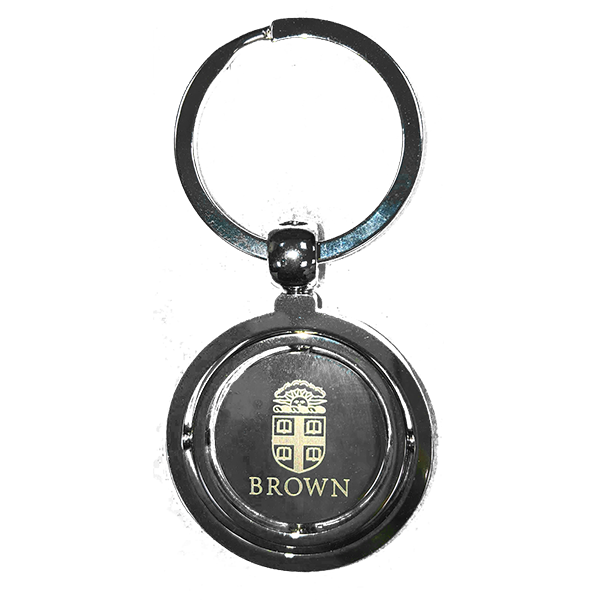 Gold key chain with 'Brown University' in red on brown and 'Grandma' on red spinner in center. 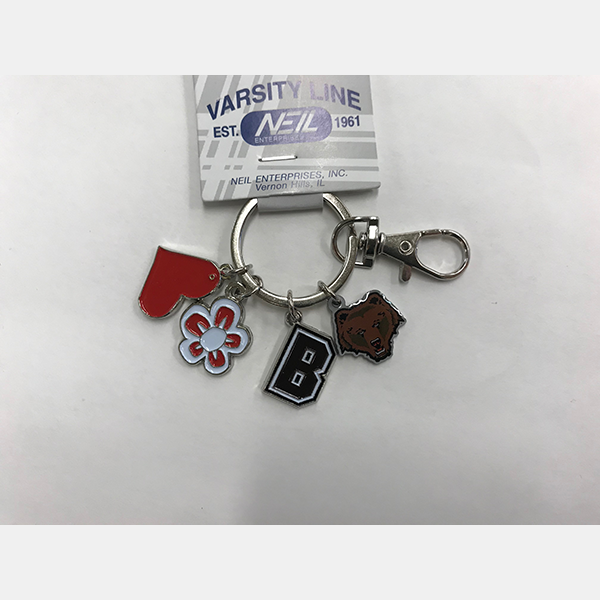 Gold key chain with 'Brown University' in red on brown and 'Grandpa' on red spinner in center. 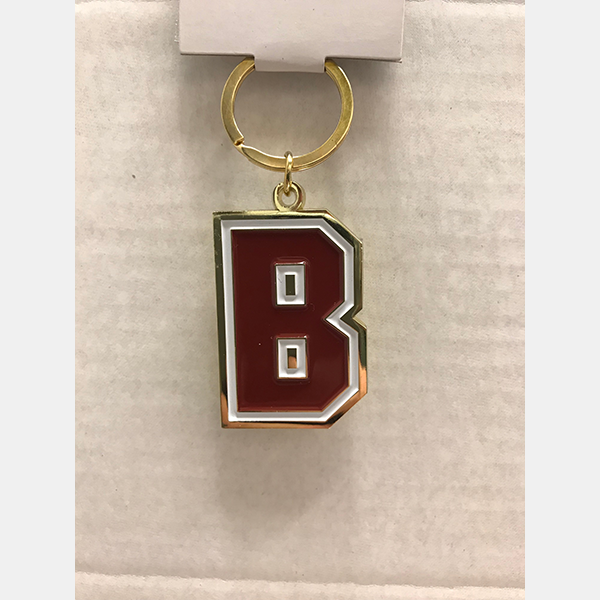 Keychains with 'B' in brown with white outline. 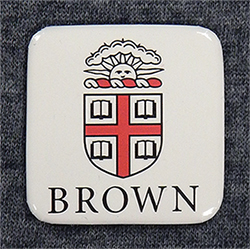 Magnet with cardinal and brown Seal on white background. If only ordering this item, you have the option of mailing for $2.00.--Put 'Mail for $2.00' in Order Comments. 2" square white magnet with rounded corners has cardinal and black Seal imprinted above 'BROWN' in black. If only ordering this item, you have the option of mailing for $3.00.--Put 'Mail for $3.00' in Order Comments. 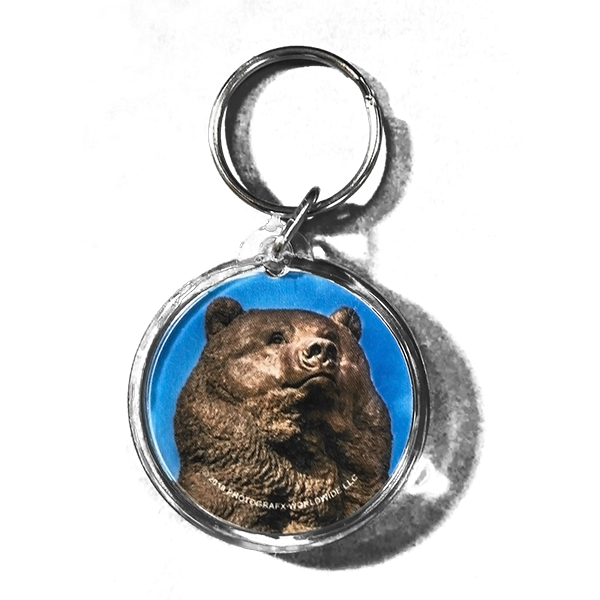 Bear has 'BROWN' imprinted in brown outlined lettering over brown Bear mascot with black outline. 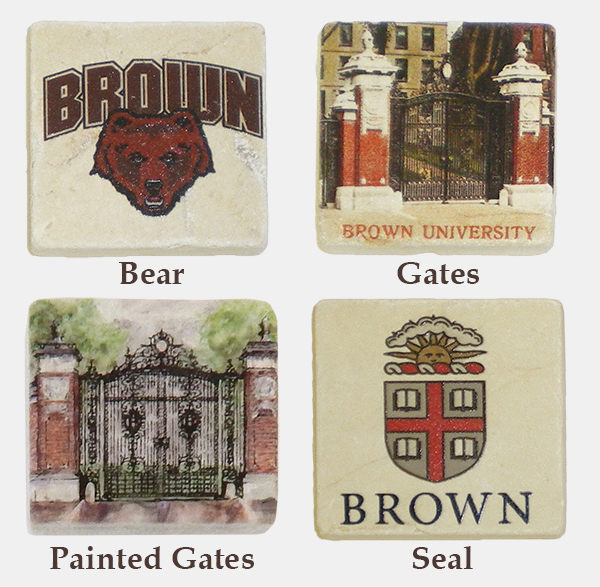 Gates has color image of Van Wickle Gates with 'BROWN UNIVERSITY' imprinted in brick red lettering underneath. Painted Gates has painted image of Van Wickle Gates. 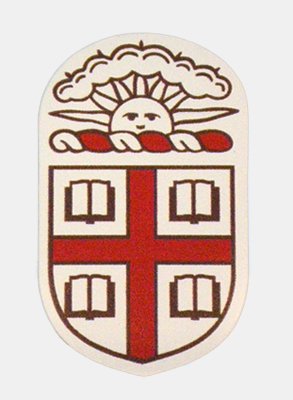 Seal has full color Seal with 'BROWN' imprinted in black lettering underneath. 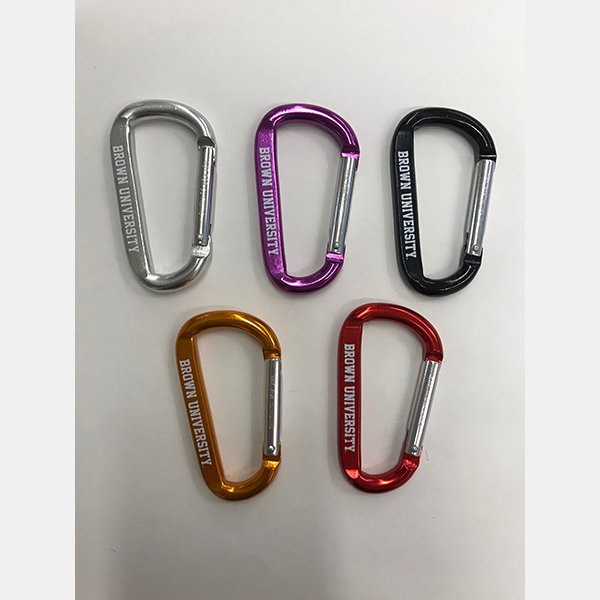 Please select option for Marble Magnet - $7.99. Pewter dinner bell with Brown Crest on white oval at top. Pewter sugar shell spoon with Brown Crest on white oval at top. Pewter teaspoon with Brown Crest on white oval at top. Pewter thimble with Brown Crest on white oval at top. 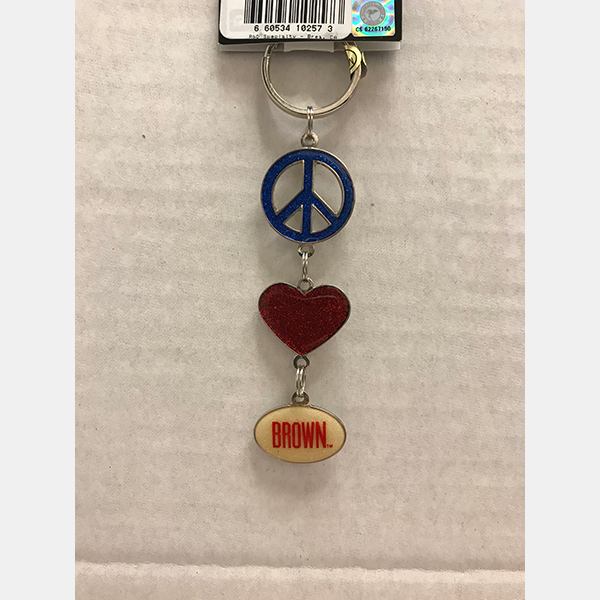 Gold key tag with 'Providence' gold charm and a pink pineapple charm. 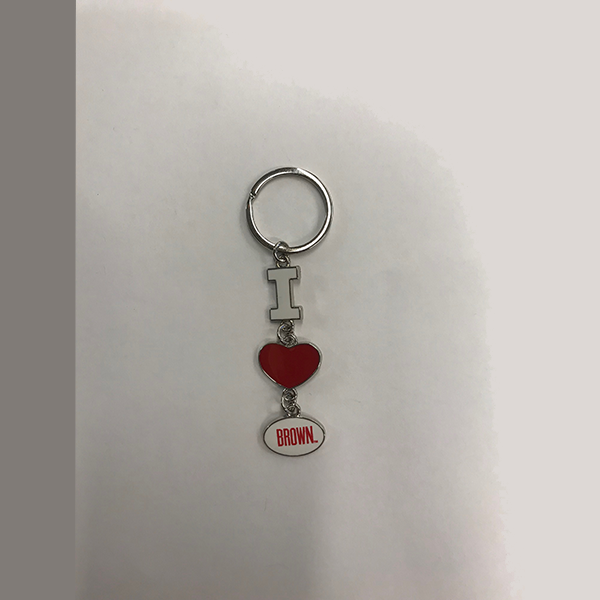 Silver key chain shaped like skeleton key. 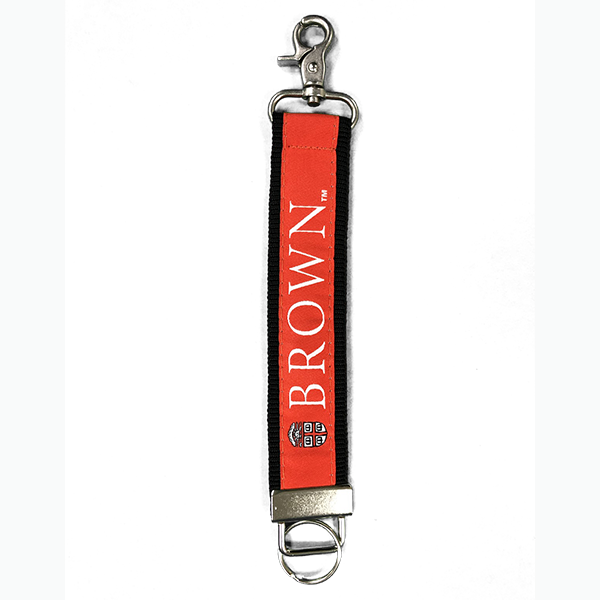 Brown Crest printed in red on oval top, 'Brown University' printed in red along key shaft.